Celebrating Homecoming has raised $ 21,740 from 110 gifts! 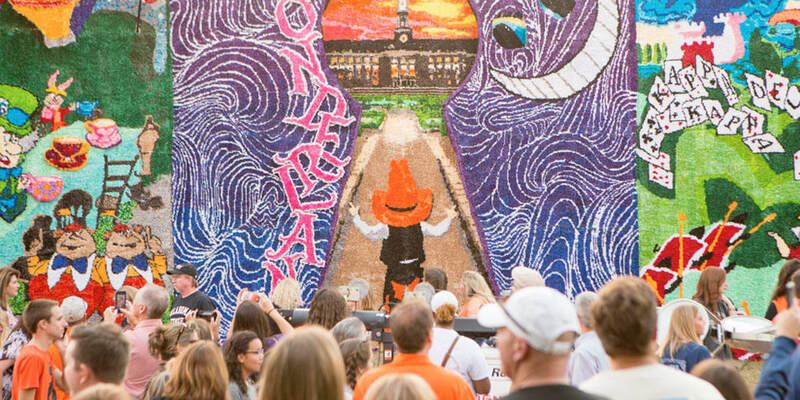 Each August as students arrive on campus – some for the very first time – they bring excitement and energy that fills the city limits of Stillwater, Oklahoma. Quite honestly, there's a part of us that wants to be right there with them. America's Greatest Homecoming Celebration is the timeless tradition held each October that involves students from all areas of campus life and draws more than 80,000 alumni and friends back home. OSU’s Homecoming brings out the brightest orange spirit and is a tradition to which no other university can lay claim. Your gift ensures that the tradition continues for generations of Cowboys – past and future – to experience “America’s Greatest Homecoming Celebration” as we know it today.